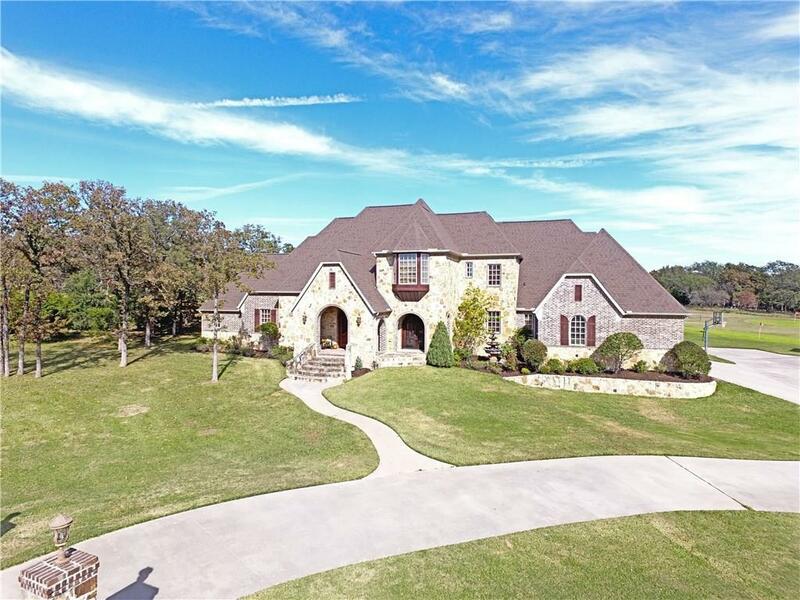 Tuscany Hill is a neighborhood in Argyle, Texas, between Fort Worth Drive and Frenchtown Road, north of Integrity Park which includes the following streets: Caublestone Hill Drive, Dante Lane, Genoa Court, and Da Vinci Court. Most homes for sale in Tuscany Hill are traditional style, single family homes, most of which were built in 2008. The Central location of Tuscany Hill within Argyle provides quick access to all major dining, shopping, and recreational attractions of Argyle city and the wider DFW Metroplex region. If you'd like more information about Tuscany Hill homes for sale, please continue reading below. Tuscany Hill real estate includes 3 to 5-bedroom homes, which on average offer 3 to 4 baths and range in size from 2,606 to 7,643 square feet. These homes are priced between $549,000 and $1,449,000 with a median selling price of around $775,000 and an average price of $210 per square feet.Most homes in Tuscany Hill have been built by some of the best designers and architects in the country between 1978 and 2008. Older homes have been fully refurbished and renovated and most homes in this neighborhood offer all the amenities desired in an ideal home. Tuscany Hill listings tend to offer the following features: Spacious kitchens with granite counter tops, breakfast bars, center islands, eat-in kitchens, hand scraped wood floors, stainless steel appliances, built-in microwaves, built-in compactors, built-in refrigerators, multi-cycle dishwashers, disposals, gas and electric cooktops, and tile backsplashes. Master suites featuring separate vanities, dual sinks, luxurious garden tubs, walk-in showers, and linen closets. More common features include wood-burning fireplaces, pier and beam slab foundation, pipe and wood fencing, open and covered patios, covered porches, covered garages with parking space for 2 to 4 cars, and much more! Residents are within walking distance from several educational, shopping, dining, and recreational amenities of Argyle city. You can shop for your daily needs at nearby Johnny Joe’s or enjoy dining out at Fuzzy's Taco Shop, Prime in Argyle, Papi's Tex Mex Grill, Cowboy Café, Cachette Bistro, Earl's 377 Pizza, Cups Coffee House, and The Jenny Layne Bakery. Tuscany Hill homes for sale are zoned to Argyle Independent School District, which includes the following nearby schools: Argyle Intermediate School, Argyle High School, Argyle Middle School, and Hilltop Elementary School.